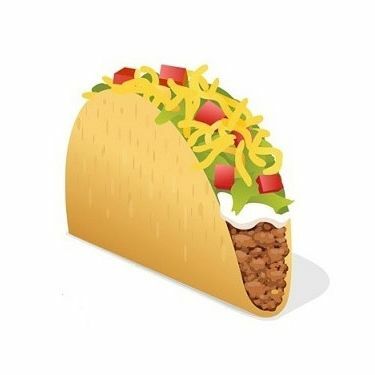 This emoji is practically a cartoon Taco Bell taco. The chain has also deployed #tacoemoji on Twitter, and the effort seems to be paying off: Its petition crossed the 25,000-supporter threshold last night. Because there’s probably a little extra room in the marketing budget after selling a billion tacos sprayed with Doritos seasonings, the chain is also selling themed clothing to aid their own war effort. You may have noticed the $22.99 T-shirt does not, mysteriously, feature an actual taco emoji. People are nonetheless lapping it up. While others still argue that the appearance of the proposed emoji seems to resemble ready-made advertising for the fast-food chain rather than a genuine Mexican taco, it seems as though other corporations are ready to settle for whatever they can get.